Located west of Downtown Houston, the city of Katy has come a long way from its humble beginnings as a prairie land. 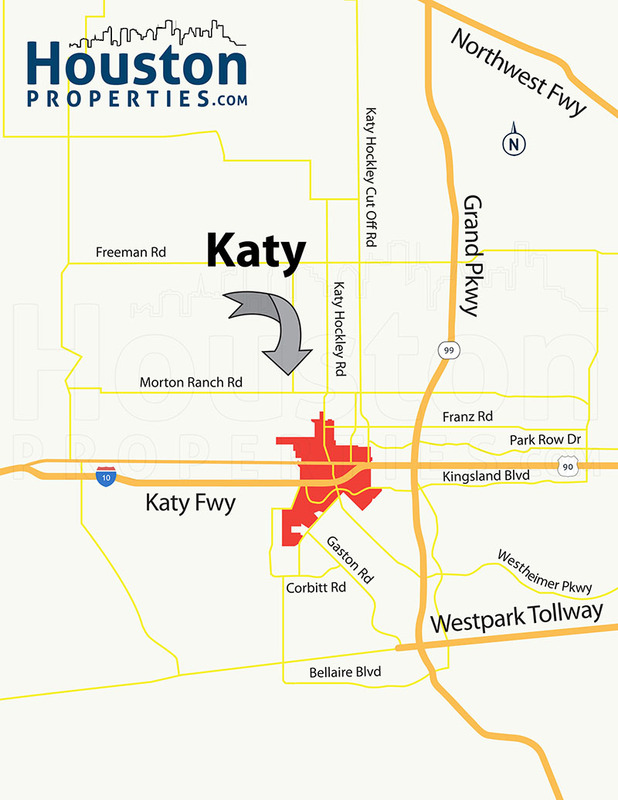 Katy can refer to both the city and the unincorporated areas around it. Colloquially known as “Old Katy”, the city is located in the westernmost area of the greater Katy area. “Greater Katy” refers to the unincorporated areas in Harris, Fort Bend, and Waller counties that are within the boundaries of the Katy Independent School District. The city of Katy features a mayor-city council type of government and operates its own municipal services. Unincorporated areas are governed by their respective counties. Several master-planned neighborhoods and communities are located within the Katy area, including Cinco Ranch, Pin Oak Village, Pine Mill Ranch, and Grand Lakes, among others. These upscale developments mostly feature expensive homes and luxury amenities. Though located about 29 miles from Houston’s central business district, Katy has several job centers nearby, including the Energy Corridor. Residential developments have spurred growth in the area’s commercial sector. Several retail, office, and entertainment centers are located within and around the Katy area. Katy homes for sale are zoned to the Katy ISD, known for its excellent schools. Several National Blue Ribbon Schools, including Katy High School, Taylor High School, and Mayde Creek High School, serve homes in the area. Katy homes come in different designs, price points, sizes, and floor plans. Home prices in the area can range from $200,000 to more than $1 million. I am interested in Katy North and would like to get more details. 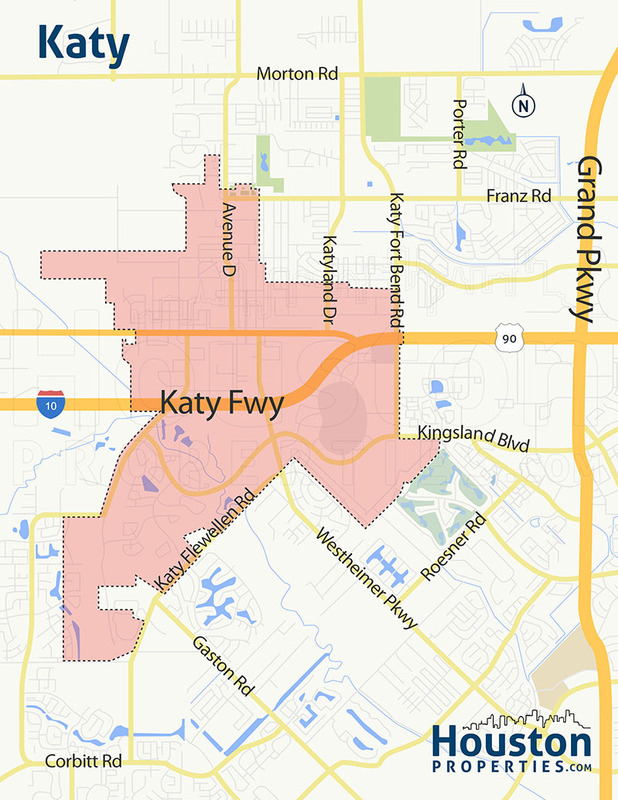 Spanning 10.7 square miles, the city of Katy is part of the much larger Greater Katy area. The city is often referred to as Old Katy, while the Katy area includes surrounding unincorporated neighborhoods within the 181-square mile boundary of the Katy Independent School District. Greater Katy is a mix of residential and commercial areas, and features several gated communities and master-planned neighborhoods. Located west of Houston’s city boundaries, Katy is a few miles away from the Energy Corridor, one of the Bayou City’s main job centers. Access to Houston and other key areas is easy via the I-10 (Katy Freeway), though there are plenty of retail, entertainment, and business hubs to be found in and around the area. Katy homes for sale are centrally located near parks, schools, restaurants, bars, and shopping centers. The Katy Mills Shopping Mall and other retail centers provide residents with plenty of options. National Blue Ribbon and multi-award winning schools from the Katy ISD are located and serve homes within the area. The area owes its name to the Missouri-Kansas-Texas Railroad (MKT), then nicknamed “Katy” by railroad officials. The railroad – and years later, the I-10 – greatly contributed to the Katy area’s growth and development. Today, the area is well-known for its wide choice of homes, affordable housing options, and excellent schools. Several new developments including several upscale residential projects are underway, including master-planned neighborhoods and gated communities. Single-family homes is Katy’s main housing option, and homes can come in different architectural styles and price points. Paige works with a tremendous number of buyers and sellers within Katy.